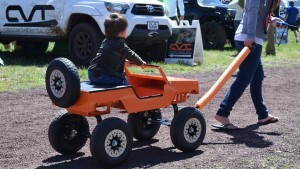 Earlier this year, the crew at Off Road Warehouse decided we would finally attend the Overland Expo - West. The 2016 edition was held just outside of Flagstaff Arizona, at the Mormon Lake Village, which meant we had an 8 hour drive ahead of us. Being that it was our first time attending this event meant that we were rookies and we had a lot of questions. 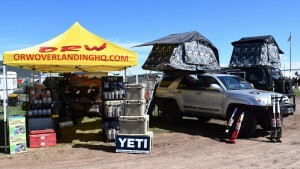 Luckily, the staff of Overland Expo were extremely helpful and friendly and guided us through the process of signing in, staging, and unloading. 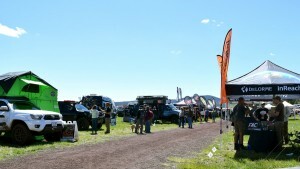 The Overland Expo runs Friday through Sunday with onsite camping available for those who want to spend multiple days and immerse themselves with great people, products, vendors, classes and other programs. 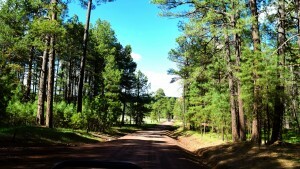 There’s an Overland Driving Course, where much of the Overland Experience activities take place. For instance, there are driving skills instructional classes that include everything from classroom style instruction, with slideshows and films, to hands-on and on the field training. Some of the other classes include driving through water crossings, recovery techniques with a winch, advanced tire repair, and worst case scenario survival, plus many more. Demonstrations, BBQ's, and even a happy hour round up the weekend activities. Sunday, shortly after breakfast, is when things really wind down, most everyone start to pack up and slowly migrate out of the camping area and head back home. Overall, our time at the Overland Expo West was outstanding and proved to be a great learning experience where we got to meet some genuinely good people and make new industry contacts. We are already planning our attendance for next year’s event and we will be showing up bigger and better. 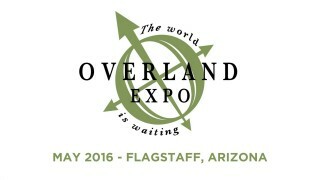 We are looking forward to next year’s Overland Expo - West and hope to see you there!